Every year my favorite thing to teach, and the kiddos favorite parts are when we do whole group book studies! Sometimes I change the books, but there are two that I always teach. One of those is an CLASSIC. This post is perfect timing, because we just started the book this week, and I couldn't be more excited! This year, when I sent out the newsletter letting parents know we would be starting the book, I received 9 emails back saying how it was their favorite book they read in school! And 6 of those emails were from dads! Of course my kiddos came to school Monday SO eager to start it! In fact, I was probably asked 5 times during Social Studies when we were starting. I calmly reminded them we were doing a different subject right now, but I secretly openly LOVED their excitement. There are so many activities we do with this novel, and the teaching possibilities are endless! I am working on a pack right now to add to my TPT store, and I will hopefully have it done soon! 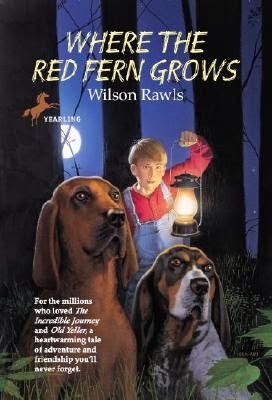 Then, we read all about Wilson Rawls! We discussed his background and story, read his bio in the book, and answered some questions about him! This is a great way to tie in Author's Purpose, and we talked about it a little bit here! We previewed our Chapter 1 vocabulary and defined the words. By this point, my kiddos were literally drooling with anticipation to read! There were many cries of "FINALLY!" when we started the book. We only read pages 1-5, but they were already hooked! 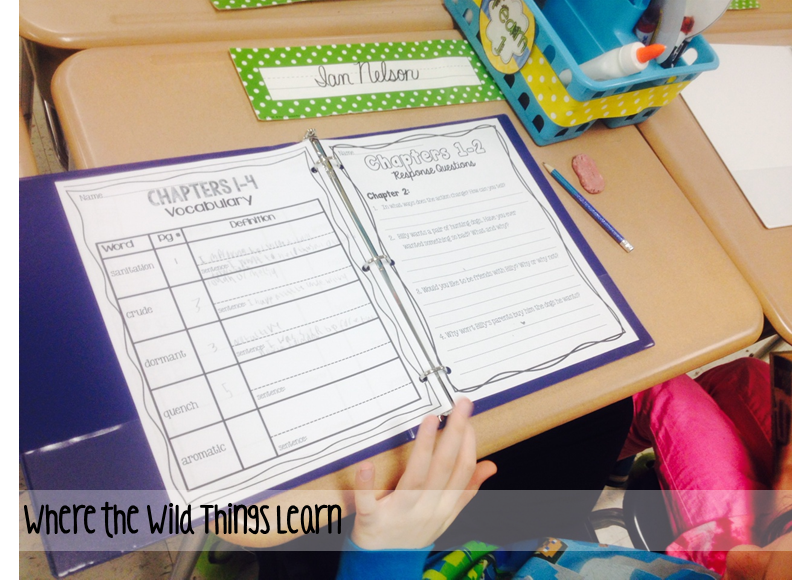 Tuesday-We started by finishing chapter 1, and discussing the chapter. We wrote down the page numbers for our vocabulary, and wrote sentences of our own using the words. Next, we had writer's workshop time where students responded to chapter 1 questions. We then began to talk about the setting of the novel. In chapter 2, we switch from the older Billy Coleman's life, to the story of young Billy and his hounds. The story is set during the Great Depression, in 1932, on a small farm in Oklahoma. We read a little about the Great Depression and discussed it. 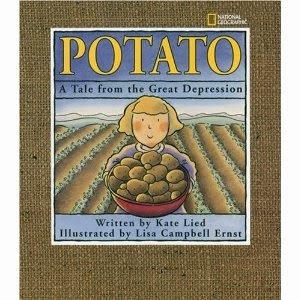 Next, I read aloud the picture book Potato: A Tale from the Great Depression by Kate Lied. We talked about how the main character in this story might have had a similar and different experience than Billy. It was a great discussion, and my students were SO interested in learning more about this time period. I checked out a bunch of books for kids on the Great Depression from the library, and many of my kiddos read them during Read to Self. Wednesday- Today we defined our vocabulary for chapter 2 and read chapter 2. We wrote down notes on the setting of the novel because it is described in detail in this chapter. 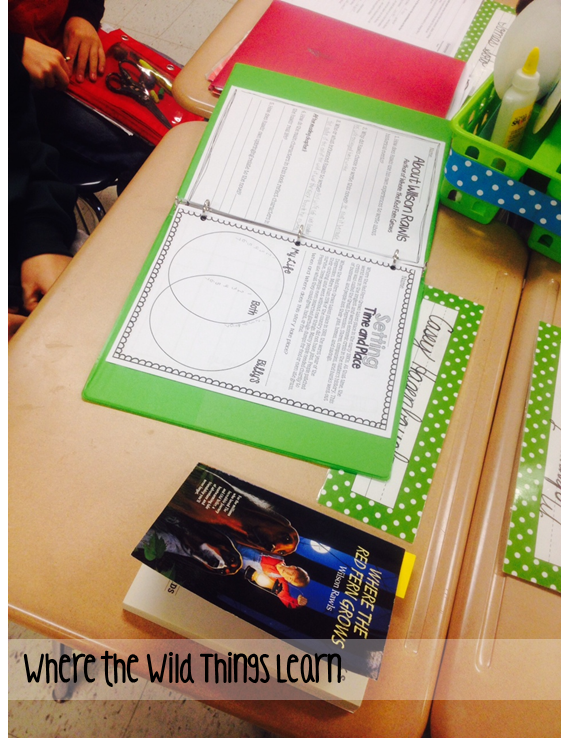 Afterwards, students completed 5 response questions during Writer's Workshop. We also discussed First Person, Third Person, and Omniscient Point of View. 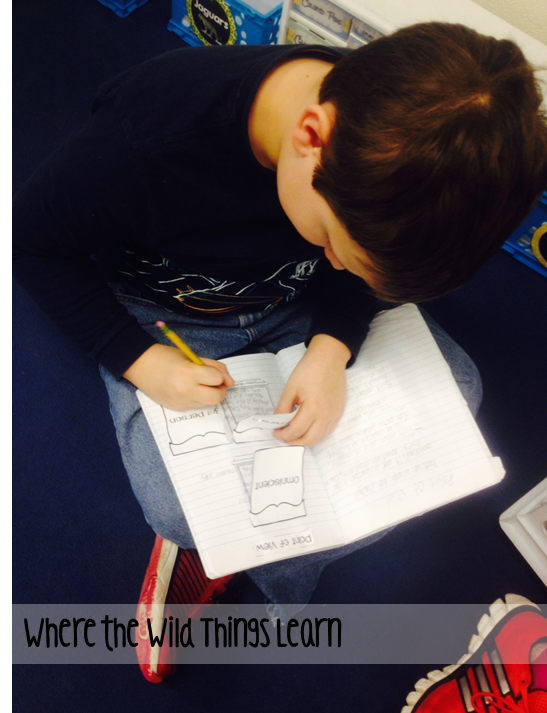 We added a foldable to our Interactive Notebooks and figured out what point of view our book is being told from. Tomorrow & Friday- We will be working on the setting worksheet! Students will be comparing their life now, to what Billy's would have been like during the Great Depression. 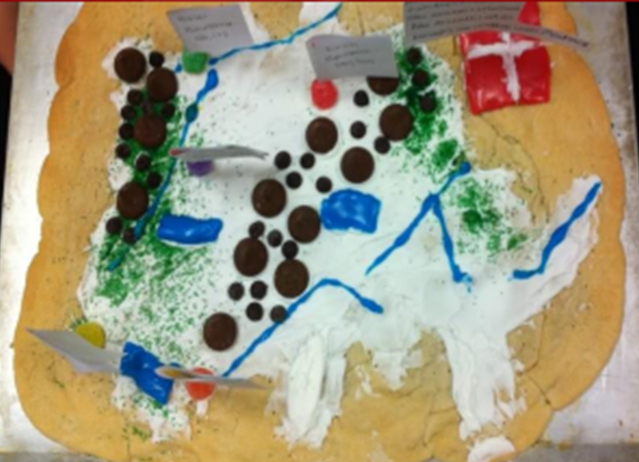 Students will also be making a detailed drawing of the setting with physical land features. Next week is one of my FAVORITE activities with this book: We make our edible map! I will be blogging in much more detail about this next week, but this is another one of the ways I tie this novel in with Social Studies. My new FAV clipart designer, Sarah, is making me a pack of clipart for this book! I can't wait to see what amazing images she comes up with! Her prices are SO reasonable and I love that she includes the B&W and colored versions in her packs! 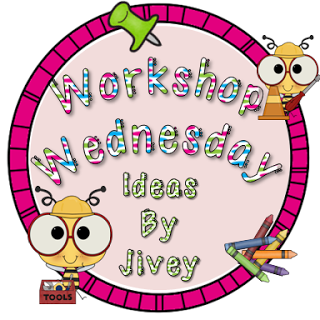 You can find her clipart in her TPT store Educlips and check out her blog Edusong. She is so talented! I used A TON of her clipart in my newest Owfully Thankful ELA Centers Megapack, and I love how it turned out thanks to her creativity! Lastly, just a few things I want to remind you of and share with you! Also, don't forget about the amazing Educents deal I am a part of! There are SO many phenomenal products in this deal! I have already used 4 of them this week! Click here to head on over and purchase! 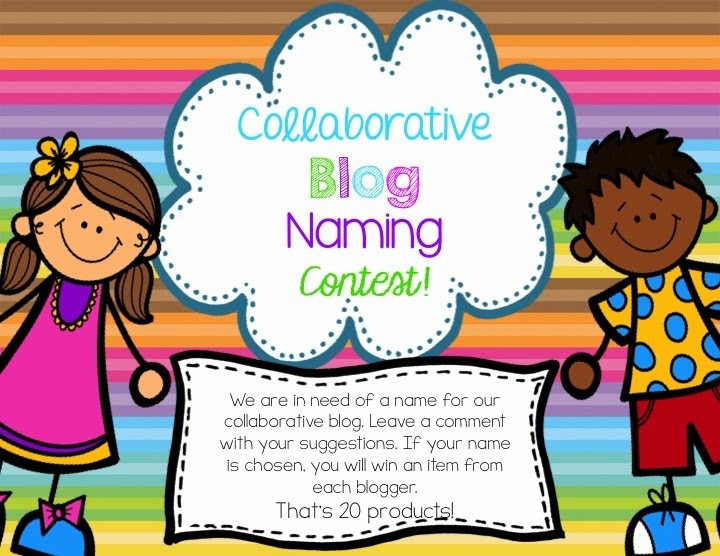 And don't forget to enter my Pin it to Win it to win a free item from my TPT store! The contest is through Saturday! I looooove this book. Why do we always pick books that make us cry?? LOL! Thanks for linking up such awesome ideas! Awe... that would be SO tough! I read Marley and Me right after my dog died... WORST decision ever!! I cry every time at the end of this book, and many of my kiddos do right with me! Isn't she so talented?! I am in love with her store! Those packs sound amazing! I love how you incorporated the Great Depression! Great tie in!